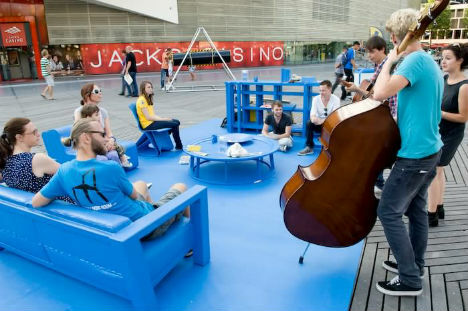 How can we get more people to leave the comfort of their homes to spend time getting to know their communities and appreciating public urban spaces? Artist Eddy Kaiser and the Theatre Group Powerboat have an idea: give them a living room that’s just as cozy and inviting as their own. 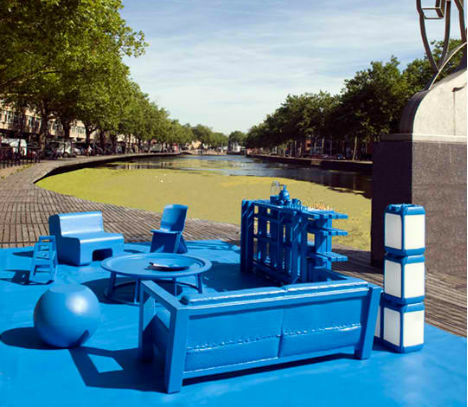 ‘Urban Living Room‘ is a blue-painted hangout space currently set up in Rotterdam. Standing out against city settings in its shocking shade of blue, Urban Living Room offers a comfortable, convenient locale for spontaneous small-scale meetings. 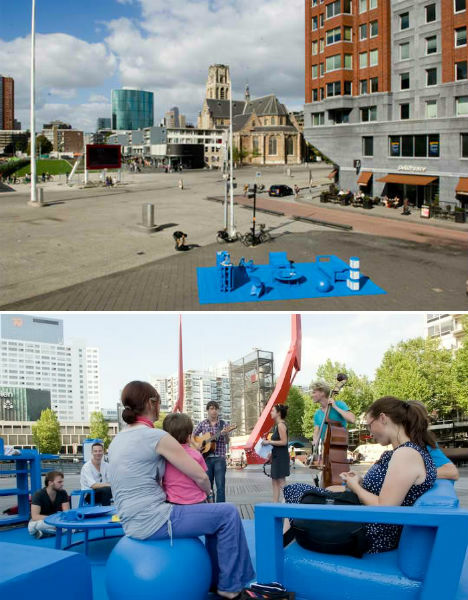 Moved around the city of Rotterdam, it has hosted school children, random passersby and free performances by local musicians. 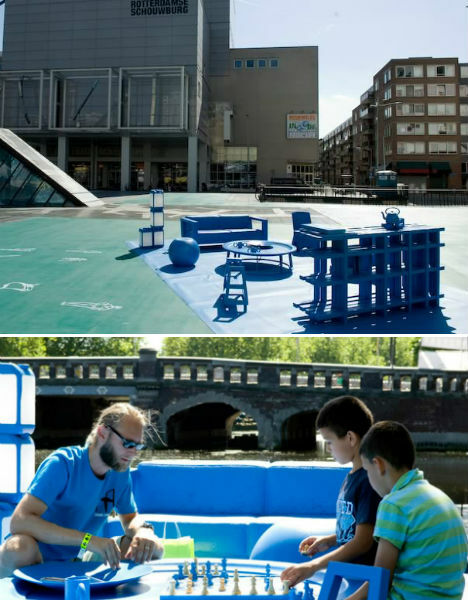 Once its time in Rotterdam is up, Urban Living Room will be traveling to Istanbul and Hong Kong as an interactive exhibit of Dutch design. The furniture chosen for the installation is based on research into the archetypal living rooms in the Netherlands.